Hope it doesn’t have to stay locked for too long. 😀 Great photos. Me too. I will mail my letter in my own neighborhood. 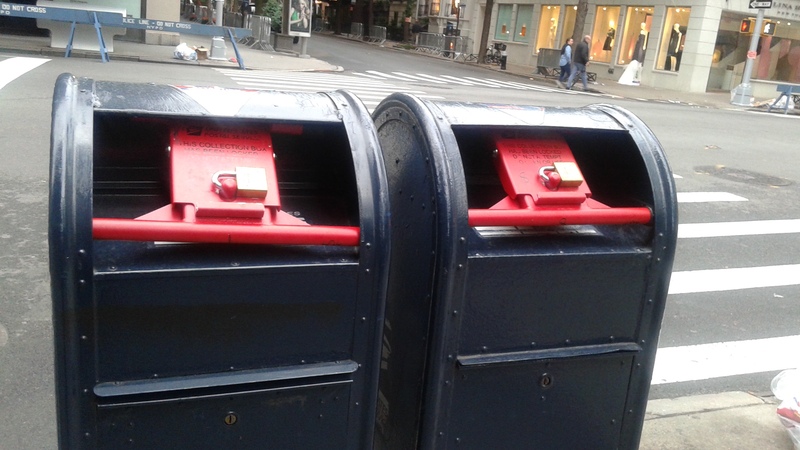 I’m sure that the locks will come off tomorrow since the Post office has to get into the Mailboxes to collect letters. It is so sad what is happening in the US. So much hatred feeling freer to act on their predjudices. Our friends in London and Manchester are having it worse. France also. Craziness has spread across the globe. Wow!! Sad this has to happen!! Having lived through 9/11 I’m glad that the city is taking precautions. Wow! I have never seen that before. Sign of our times. My co-workers told me that earlier the bomb sniffing dogs had gone through looking for explosives. My prayers go out to the people in Manchester and London. 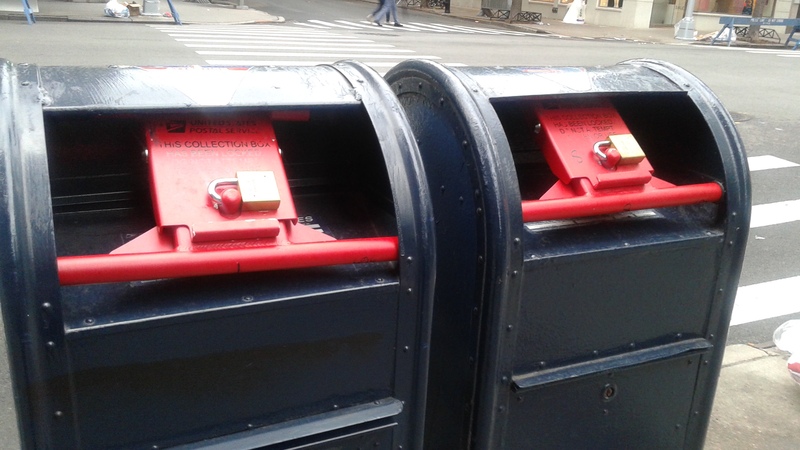 Sad to see these locks on the mailboxes. As the expression goes, Better safe than sorry. This is the world we live in today.